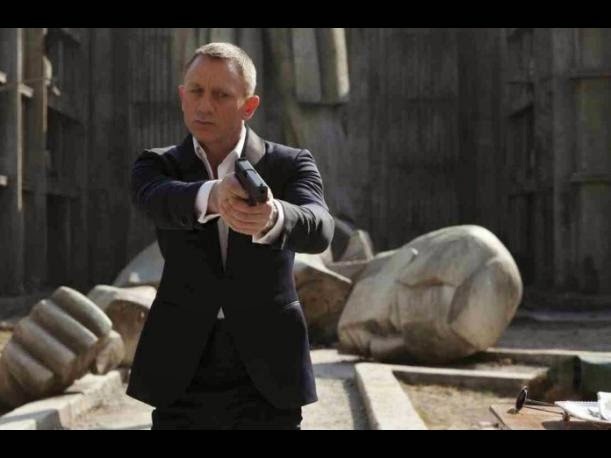 The shooting of the new film of the saga of James Bond, Spectre , in the center of Mexico City will generate economic damages for about $ 24.7 million, estimated small entrepreneurs. Mexico City is one of the venues where scenes of "Spectre" are shot with a setting based on the traditional Day of the Dead festival since last March 19. The Chamber of Commerce, Services and Tourism of Mexico City Small acknowledged in a statement on Monday that the shooting of the film will represent "a major promotion of our city and our folklore," which will generate benefits in the future. However, added the note, now," unfortunately the closure of roads and walkways directly and indirectly affects more than 6,627 businesses established in the quadrant formed between the streets of Belisario Domínguez and Republic of Uruguay way, as well as Eje Lázaro Cárdenas and Correo Mayor ". These closures will last almost two weeks," will generate losses for about 376.95 million pesos for ($ 24.7 million)" due to falling more than 60 percent of sales by the lack of consumers and tourists, estimated organism. Once pedestrian access and traffic restore on April 1, the historic center of the capital may receive during Easter more than half a million visitors, concluded the business organization.